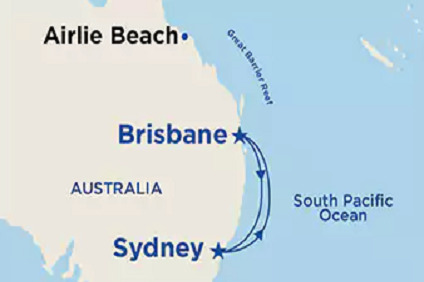 4 Night Cruise sailing from Brisbane return aboard Sun Princess. A member of Princess' Grand Class fleet, Sun Princess redefines the cruise vacation by offering passengers freedom from traditional cruising regimentation, creating a "what you want, when you want" atmosphere of onboard choice and flexibility. Multiple dining and entertainment options. Providing "big ship choice, small ship feel," Sun Princess also includes 410 balcony cabins, where passengers can take advantage of the vessel's 24-hour room service while enjoying the scenery from their cruise.